I’m going to be honest with you. I purely put this book on hold at the library because it’s just such a gorgeous cover. I didn’t even know what it was about until I picked it up to read it, but in this case you can judge a book by it’s cover! Hedy Kiesler, who is later known as the famous Hollywood actress Hedy Lemarr, is lucky. Her beauty leads to a starring role in a controversial film and marriage to a powerful Austrian arms dealer, which gives her a pass to the Nazi persecution despite her Jewish heritage. But Hedy’s not just a pretty face, she’s also intelligent. At lavish Vienna dinner parties, she overhears the Third Reich’s plans. One night in 1937, desperate to escape her controlling husband and the rise of the Nazis, she disguises herself escapes her husband’s grasp. Eventually Hedy has made it to Hollywood where she is on the big screen, but even through her success cannot shake the survivor’s guilt she is suffering from. Hedy’s past inside knowledge, leads her to a place where she decides to use it and invent something that would help save lives. I really enjoyed this book, and was sucked in instantly. You are thrown into the 30’s glamour, and lavishness by experiencing Hedy growing up and becoming her own self. Obviously the fact that she decided to successfully invent a technology we still use today is impressive, but also the fact that she decided to escape a very abusive, yet monetarily comfortable, life, is where you see her strength begin to build. The most chilling thing about this novel is the moments where Hedy is in the same room as the Third Reich and overhearing the terrible things that they believed, and wanted to put into action… and then they ultimately do even worse things than she could ever imagine. I loved learning these little details about Hedy’s early life, and I also enjoyed listening to a couple interviews with Marie Benedict talk about Hedy Lamar. 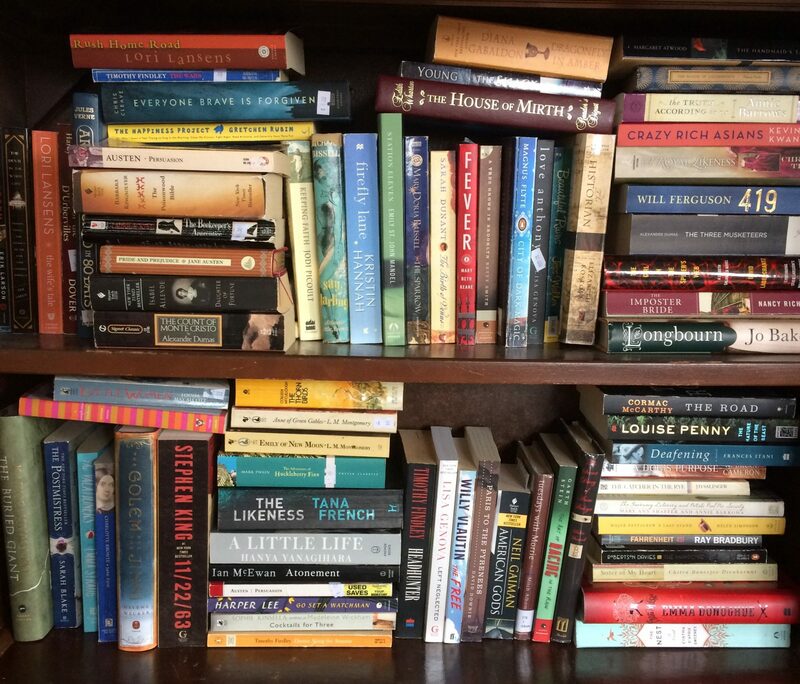 Check out the Professional Booknerds Podcast if you want to listen to! The technology that Hedy Lamarr invented was one that would help the communication of torpedos to be more accurate. But, each day you look at your cell phone, you are actually staring at technology that Hedy had invented. Not only was she a beauty, but she was a scientist. She put her mind to work in a way that she hoped would help save refugees lives. You will have to read the book to see just what happens. Kate Atkinson is one of those author’s that her book’s are an automatic “to read” on my list. Her novels, Life after Life, and God in Ruins, were amazing. So when Transcription came out, I immediately put it on hold at my library. My feelings about this novel are a little bit murky, but the reviews on it are INCREDIBLE. So, what do I know?? 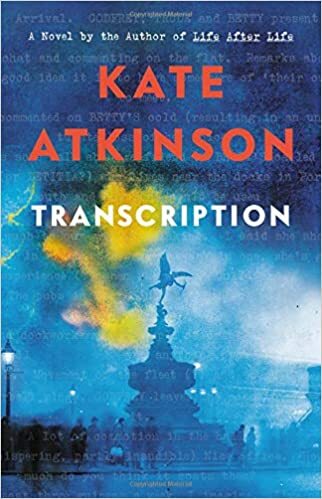 Transcription follows Juliet Armstrong, who at 18 years old has been recruited to join an espionage team in England for M15 in 1940. Just like her last two novels, Atkinson plays with time travel, and takes you to post-war (1950), and to her current life (1981). While Juliet is a naive, pathological liar, the M15 admires these qualities in someone… as long as they are good at it. And she was. When something tragic happens to her and her work mates, she finds herself in a state of paranoia and panic. And also questioning whose side her work mates are actually one. First off, let me tell you what I did like. Kate Atkinson can dazzle a reader with her snarky one-liners, and her perfect placement of words. But, I found this book’s pace to be quite sketchy. For pages it was so moving, and I found my brain wandering as I read it. Then it would pick up at an incredible pace, and you were turning the pages so fast! As I sit here writing this, I think that possibly Atkinson used this as a tool. That being a spy would be much like this. From one moment you are just waiting for something to happen that is worthy of reporting, or reacting to. Then the moment it actually happens you have to react fast, and get moving. I have listened to a couple podcasts in which Atkinson was being interviewed, and doing this was really eye opening. It made me appreciate the novel much more. She talks a lot about how the “Phony War” played a part in her novel, in the sense that she wanted to create a foggy, secretive setting… just like the British were experiencing in 1940 as the War was also very unknown to them. They had no idea what they were to expect, and ultimately what was coming there way until the Battle of Dunkirk. The interview I enjoyed the most was The Guardian Book Podcast. One last thing I will leave you with about this book, is a quick quote that really captures just how snarky, and smart her writing is. And of course, it’s quick little nod to Jane Eyre wins me over immediately. Juliet felt slighted yet relieved. It was curious how you could hold two quite opposing feelings at the same time, an unsettling emotional discord. She felt an odd pang at the sight of him. She had been fond of him. She had been his girl. Reader, I didn’t marry him, she thought.